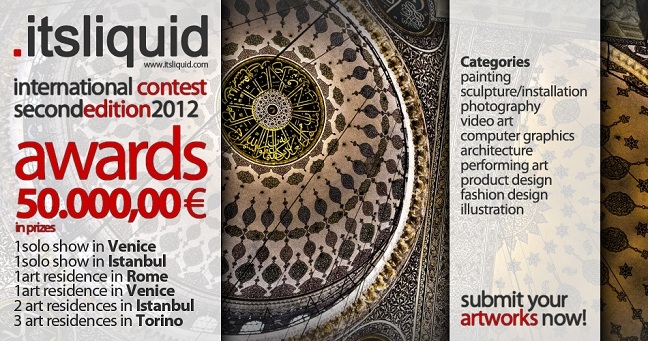 It’s LIQUID Group, in collaboration with International ArtExpo, is proud to present “It’s LIQUID International Contest – Second Edition 2012”. 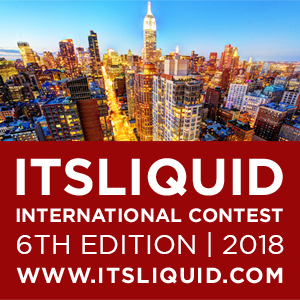 The contest is born with the goal of promoting contemporary art, architecture and design through all the divulging tools that the communication platform It’s LIQUID has used for years (press release, mailing list with more than 80,000 subscribers, international contemporary art and design events realization). 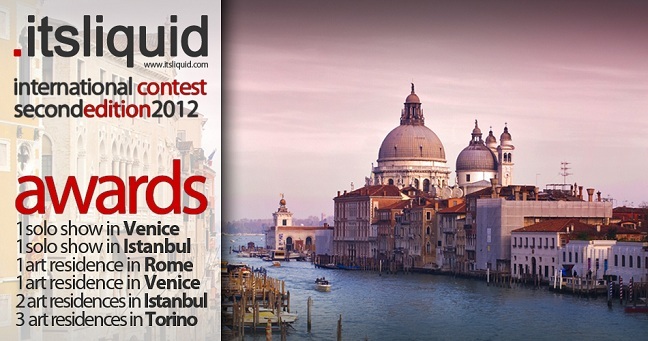 It’s LIQUID International Contest promotes contemporary art, photography, architecture and design all over the world. Artists have the chance to win €50,000 in prizes, chosen both by public vote and professional jurors. 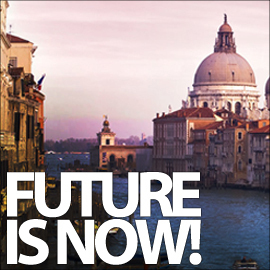 And, among others, there are the chances to win a Solo Exhibition in Venice and a Solo Exhibition in Istanbul, leader cities for contemporary art. 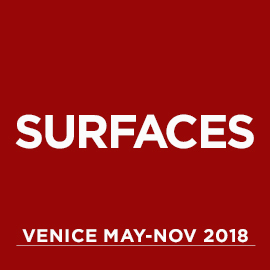 Winners will be selected by public vote (which will award the Venice Art Residence) and by professional jurors’vote (which will award one Solo Exhibition in Venice, one Solo Exhibition in Istanbul, Art Residences in Rome, Istanbul and Turin, 1 year of participation in International ArtExpo’s festivals, 1 year of It’s LIQUID Platform services). 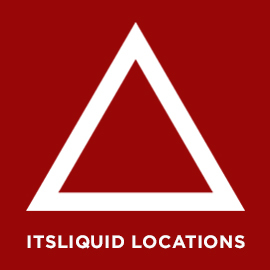 To have the chance to be the winner of an Art Residence in Venice, after applying for the contest, It’s LIQUID will upload the participants’ artworks on It’s LIQUID International Contest website and give the artists the direct link of their artworks. To vote and be voted it’s necessary to share the direct link and like it on our website. Artist with the greater number of “like” by the deadline, will be the winner. The public vote will start on January 07, 2013 until the deadline. The sooner you apply the better your chances of being the winner! 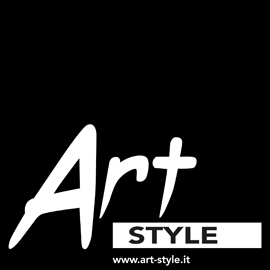 – 1 year of participation in International Art Festivals organized by International ArtExpo. 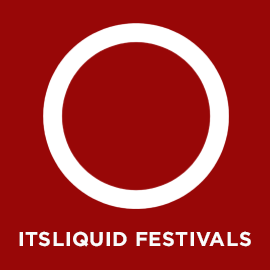 – 1 year of interviews, publications and specials on the It’s LIQUID Platform and one year of email announcements sent to the mailing list dedicated (more than 80.000 subscribers). There is a 50 euro entry fee to submit up to 3 artworks. The entry fee for every added artwork is 20 euro. 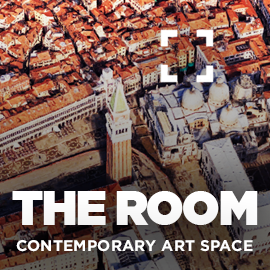 A maximum of 20 artworks may be submitted, per person, to one or all of the categories. The names of the winners, will be notified on the official website of the contest through a press release on February 28, 2013. The winners will be selected following the criteria of quality of the work, originality and uniqueness. The jury reserves the right to nominate a maximum of n.3 honourable mentions that will be communicated through the same press release.